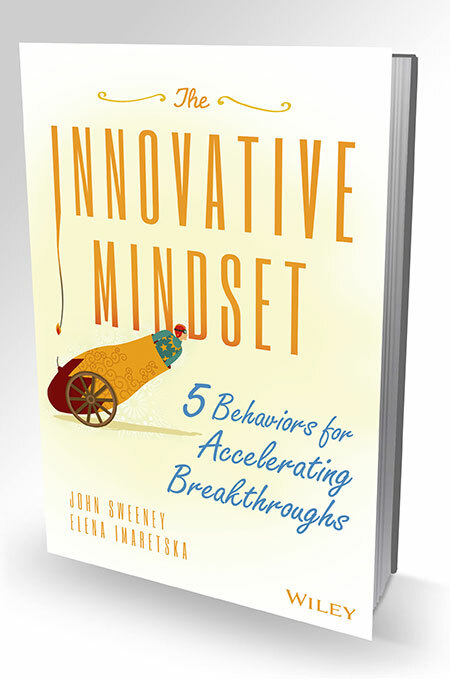 John Sweeney is an innovation behaviorist, speaker and author. He is also the owner of the Brave New Workshop Comedy Theatre in Minneapolis, America’s oldest comedy theater. 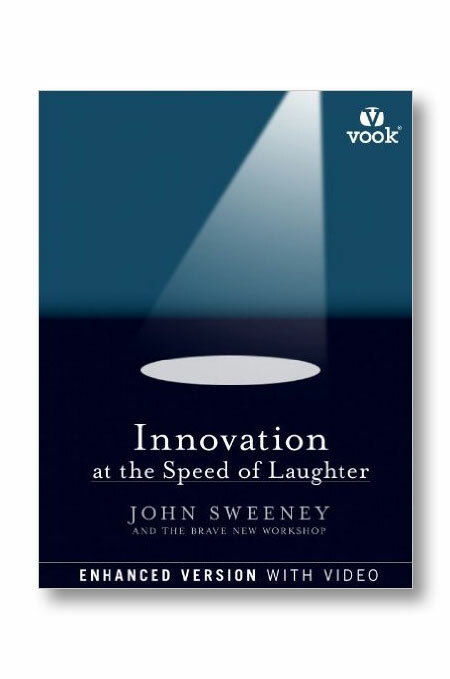 Years ago, John Sweeney and the Brave New Workshop began sharing the skills and behaviors of improvisational theatre with companies worldwide. 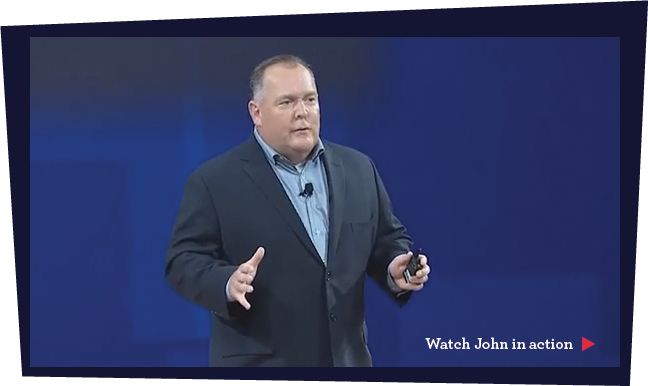 Since then, John has become one of the most sought-after keynote speakers and trainers in the world. Through his work with Brave New Workshop’s Creative Outreach program, John has honed his powers of improvisation to ignite cultures of innovative behavior within America’s biggest businesses, including Microsoft, PWC, General Mills and United Health Care. Featured across countless media platforms including Inc., Forbes, and The Financial Times, John uses his scientific understanding of how human behavior is influenced to create simple but groundbreaking tools to spark innovation and transform organizations. The Innovative Mindset calls the accepted definition of innovation into question, urging you to consider how innovation might function as a behavior that you perpetuate, rather than an inflexible theory or corporate-defined initiative. By asking yourself what it takes to be innovative—and by being honest with yourself about the answer—you can incorporate innovation into your life much in the same way that you would a behavior to help you lose weight, increase your strength, learn to play the piano, or improve your relationships. This groundbreaking text helps you identify what you need to do in order to become more innovative and less fearful, and assists in creating a regimen that transforms how you act. Innovation has become one of the most popular buzz words of the Digital Age, and there is no better time to reevaluate the true meaning of a concept than when it is being touted by individuals and companies around the world. A fresh, practical understanding of innovation can revolutionize the way you think about work. The Innovative Mindset reevaluates the nature of innovation and shows how a change in perspective can lead to more dynamic, more successful endeavors. Where we focus our time and energy is critical to our success. This book is a great guide for anyone seeking to behave in a way that transcends fear and fuels progress. An innovative mindset is the key to a happier, more productive, stronger life in and outside of the workplace. It’s no secret that new ideas fuel profitability. Even when companies hire top talent and teach best skills, few are able to affect the bottom line unless their employees can generate and execute new concepts. It sounds like a simple principle, but finding new ideas can become a company’s greatest challenge. 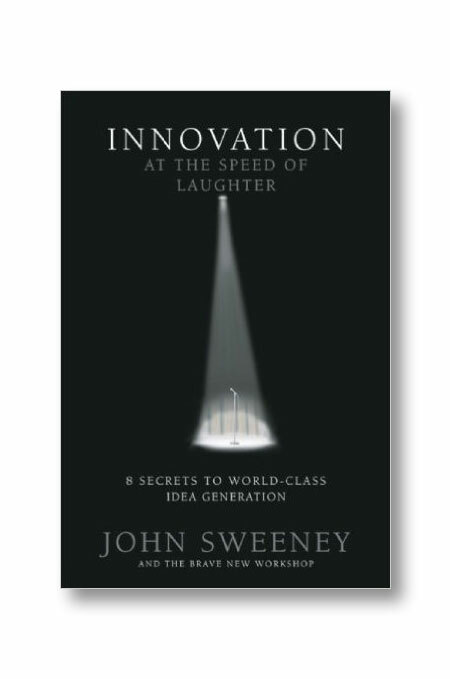 Born from the formula used for more than 52 years to help write outlandish satirical comedy, John Sweeney’s book describes eight principles that guide companies, leaders and individuals to generate more and better ideas. Using client case studies and a lighthearted writing style, this book is especially appealing to business leaders, team builders and companies seeking to build a culture of innovation. 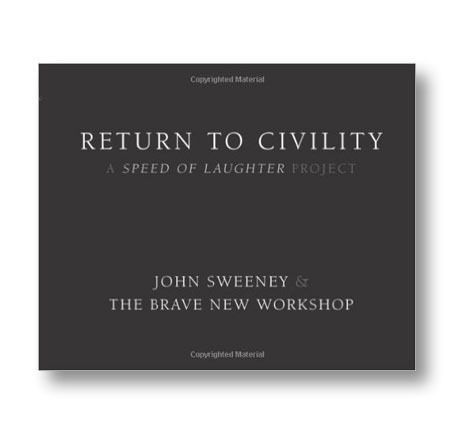 Motivated by his experience at a concert during which a Grammy Award-winning musician was forced to stop mid-song in order to ask the audience to ratchet down its conversation, author and speaker John Sweeney rallied the troops at his theater to come up with 365 ways to lead a more considerate, and considered, life. Great session, John! It was terrific! It was a pivotal time for our team...so glad you were there to add huge value and experience it! John Sweeney is incredible! His interactive session with our top leaders was the fuel we needed for positive change. I would hire him again in a second. You were the best...nailed it. Perfection. Thank YOU!!! INCREDIBLE!! I heard from a number of attendees that he was the best presenter they have ever witnessed. He’s incredibly engaging and was perfect for an audience of sales reps.
John blends fun, innovation and learning better than any other I’ve worked with. I’d recommend him and his team to anyone! John has done an outstanding job working with us to spread innovation across our enterprise and in support our first-ever innovation events. He delivered even more than expected and of course made it all fun. If you’re tasked like I am for developing global corporate-wide innovation, you can’t miss with John. John brings a rich and high energy perspective on innovation. He has brought great value to a wide-variety of my executive and mid-level audiences over the years. The requests to “bring John back” speaks well of his impact on others. I would highly recommend him if your interest is developing a culture of increased innovation ... and you are willing to have a bit of fun along the way! 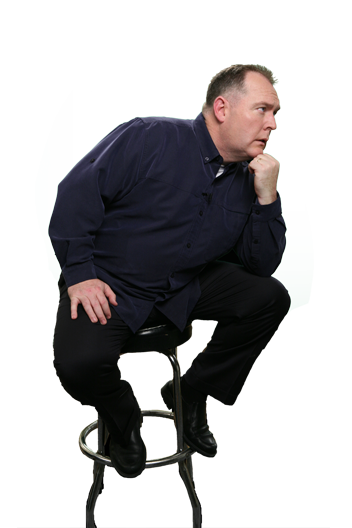 For more information about John Sweeney, download his Speaker Kit.